Somebody raved about this on Twitter (see, Twitter has some uses) and I immediately needed to read it for the tag-line alone: "She's Cyrano de Bergerac in yoga pants..."
"Ugh. My nail polish is smudged. I glance around for something to wipe up the blue-green nail polish on the side of my toe. Spotting nothing else available on the pool deck, I decide to use my beach towel. There. Much better." "...Mr. Adwell, the gym teacher. Did you know he's dating the school librarian? Guess he's been checking out more than books." "Ewwww," Aggie says. "They're both, like, a hundred years old." "Senior citizens need love too, Aggie. Don't judge." 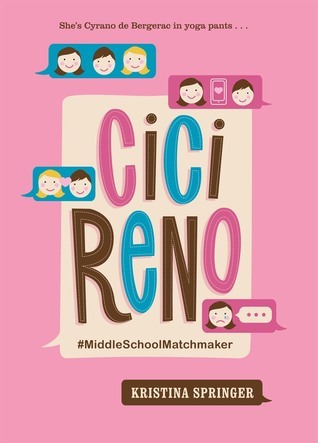 For writers: If you want to see how to write a fast-paced and humorous book set in middle-school, look no further than CICI RENO! I LOVE the scene at the hockey rink in chapter 27. I don't want to say too much but it's a goose-bumpy kind of scene. I flew through the book, and I have to say: what took me so long?! "They say Maniac Magee was born in a dump. They say his stomach was a cereal box and his heart a sofa spring." This has the feel of a fable to it. It is swift-moving, and deals with important issues (race, neglect, bullying, and loneliness) in a clear-eyed yet humorous fashion. As you can see from the opening lines of the prologue, the sentences sing with a giddy inventiveness. You can open any page of this novel and find wondrous descriptions--Maniac's sneakers are said to be "hanging by their hinges and flopping like dog tongues." The novel also shouts its Americanness unabashedly, with scenes of football and baseball, prizes like a weekly pizza, and a zoo which includes buffalo. I think it would make an exuberant read-aloud, and I can't wait to read it to my soon-to-be 4th grader. I can see why this is considered a modern-day classic. Book Scavenger reminded me a little of Escape from Mr. Lemoncello's Library, but I found the friendship between Emily (the main character), and her neighbor James to be better drawn than in the latter title. Bertman does a great job of describing what it feels like for a 12-year-old to be moving all over the country and the loss of stability that engenders. 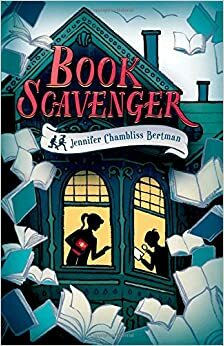 Jennifer Chambliss Bertman writes stories with a bit of mystery, a bit of humor, and a lot of fun. 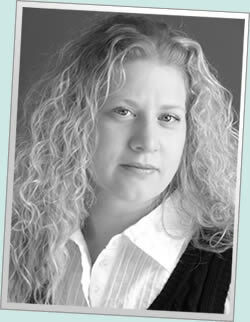 Her debut novel, Book Scavenger (Christy Ottaviano Books/Henry Holt for Young Readers), was an Indie Next Kids’ Top Ten Pick, a Junior Library Guild selection, and one of five titles chosen for Publisher’s Weekly Best Summer Middle Grade Books for 2015, among other accolades. A sequel titled The Unbreakable Code will be published in 2016, followed by a stand-alone middle grade mystery in 2017. 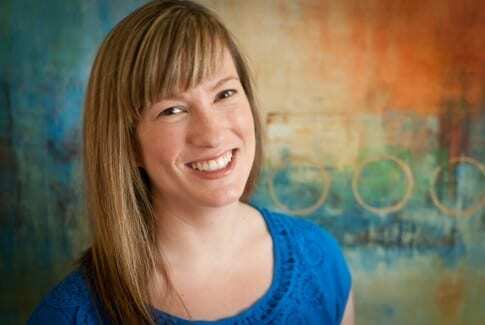 She has an MFA in creative writing and worked in publishing for over a decade before becoming a children’s book author.